Lot 712. 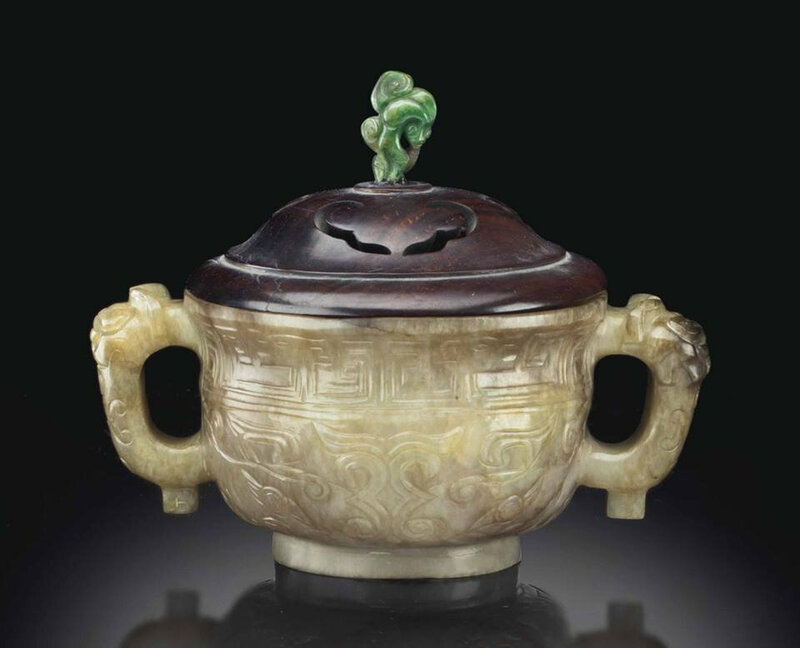 A brown and beige jade bronze-form censer, Late Ming-early Qing dynasty, 16th-17th century; 5 5/8 in. (14.2 cm.) wide across handles. Estimate USD 5,000 - USD 8,000. 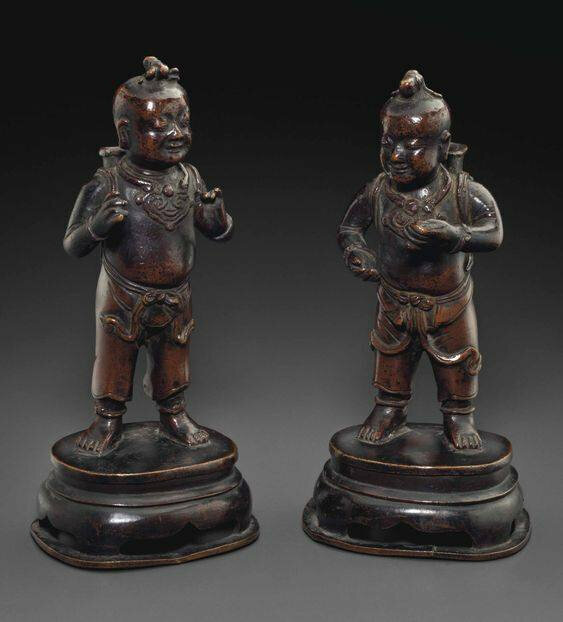 Price realised USD 10,625. © Christie’s Image Ltd 2014. Made in the shape of a bronze gui, the censer is raised on a slightly spreading ring foot, and carved on each side with a taotie mask below a band of angular dragon scroll which is interrupted by the pair of handles, each surmounted by an animal mask and with a pendent tab at the bottom. 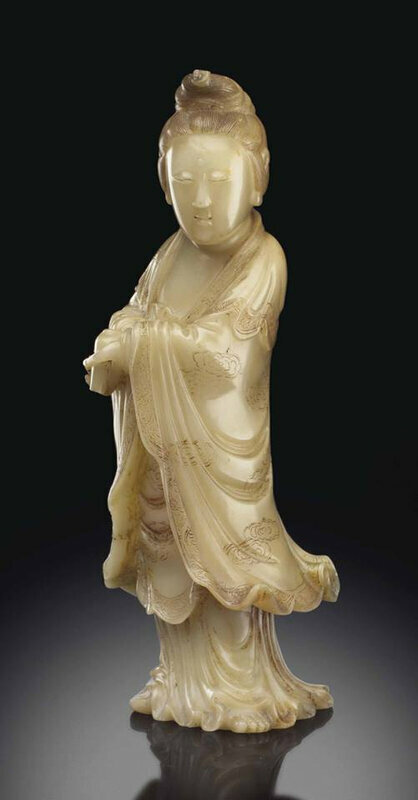 The semi-translucent, tannish-white stone has fine brown markings throughout, some areas of brown color and some dark brown veins, wood cover with jadeite finial.